NOTE: Contains language that may offend some audiences. 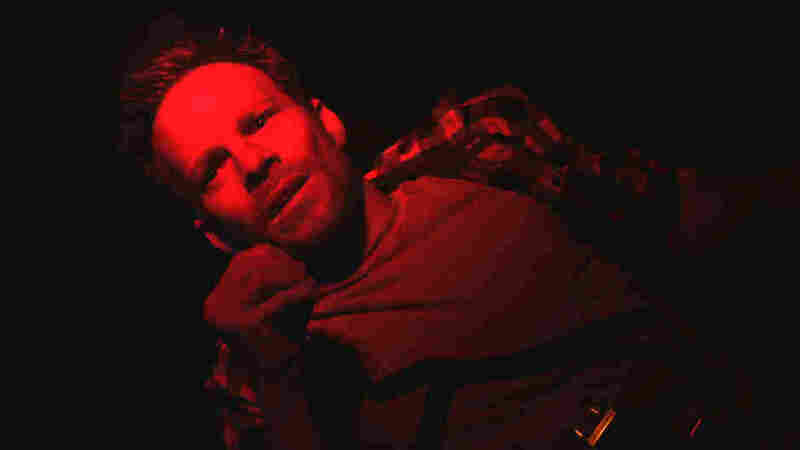 Rarely does someone enter the trunk of a car by choice, so it's fair to assume that when Jeremy Reins (a bug-eyed Stephen Dorff) wakes up inside one at the start of Brake, he probably hadn't staked out the spot for a nice nap. Turns out his new chauffeur is seeking information, no doubt connected to the fact that Jeremy happens to be a Secret Service agent. Though it should be said that if Jeremy can't even keep himself out of harm's way, he might want to find a different line of work. The near-entirety of Brake will take place inside that trunk. More specifically, the film limits itself to an even smaller glass case within the trunk, where Jeremy is imprisoned (and often filmed from rather unflattering angles). A red clock counts down ominously. Sometimes his transporters will send him menacing offerings through a tube, in a series of carefully choreographed steps that suggests way too much thought went into this whole endeavor. Cramped-quarters movies like Brake are so valued in Hollywood these days they have their own subgenre: All hail the "contained thriller." It's kind of charming to see latter-day studio executives suddenly try to emulate the bygone successes of Rope, Rear Window and 12 Angry Men, even if it's only because these types of films are fast and cheap to make (Brake was shot in 12 days). Plus, they usually have easy one-word titles like Exam, ATM and Frozen, presumably saving marketing departments untold thousands in ink costs. Director Gabe Torres has the misfortune of following up not only these but also 2010's similar entombed-gentleman potboiler Buried, which shoved Ryan Reynolds into a coffin in the name of entertainment. But Brake distinguishes itself from its pedigree with its singular focus on adrenaline over character-based introspection. Jeremy does have some minor flaws — he gambles too much — but he'll be able to escape without digging deep inside himself to address them. The point is to get our pulses pounding even as Jeremy's legs keep cramping. And so the fact that we're inside a moving vehicle is the film's best asset, because it means Jeremy doesn't have to exist in a bubble. We sense that there is a world beyond that trunk, and that he can interact with it despite not being able to see it, particularly when he obtains a cellphone and — in a bout of unparalleled common sense for protagonists of this sort of movie — uses it to call 911. This tactic alone makes Jeremy one of the smartest humans ever to star in a thriller. Yet the man still isn't particularly bright, considering how quickly he dismisses the operator once he gets her on the line. There are plenty of gripping moments, as well as a few silly ones — bees get involved at one point, presumably to please Wicker Man fans. And the ride as a whole is at the very least exciting to take part in. Yet first-time screenwriter Timothy Mannion fills plot holes with imitation cement, tampering with Brake by tacking on an ending that doesn't make a lick of sense. Like their protagonist, the filmmakers are gamblers, only they trade in the suspension of disbelief — and by the end they've squandered their entire savings. Whether the logical fallacies of such a final twist will retroactively ruin the entire film for audiences is a matter of personal taste. But then again, what good is a souped-up vehicle if its makers disable the brakes? The thing handles great on the highway, but that's not what counts once it flies off the road.